What do you do after you pick up 20 pounds of fresh limes from your backyard? Frozen margaritas and Cilantro Lime Rice. 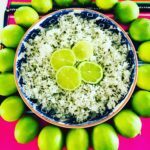 This homemade version tastes 100% identical to Chipotle Mexican Grill’s popular rice and it’s very simple. 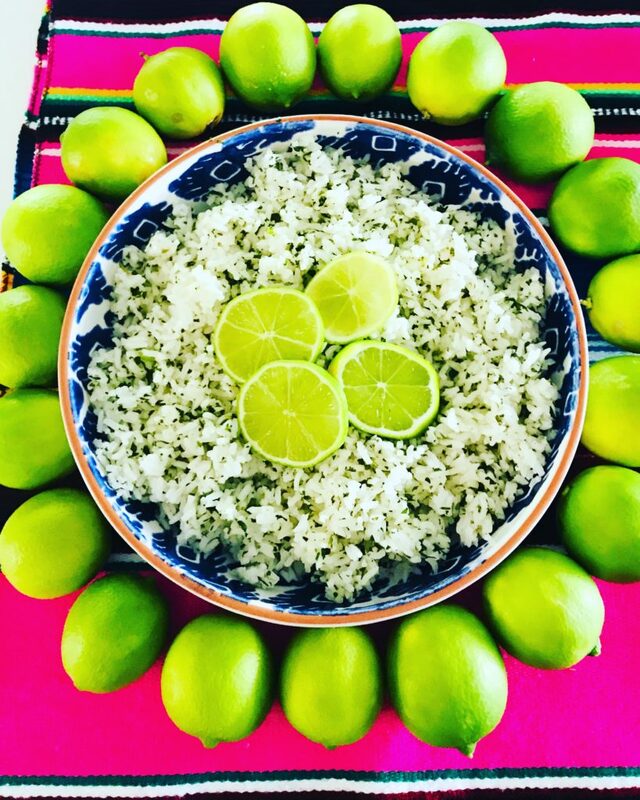 It calls for 3 ingredients ( rice, cilantro and lime) and it takes about 25 minutes to cook! You can serve it as a side dish or enjoy it with roasted bell peppers, guacamole and salsa, in a bowl or a wrapped burrito. Rinse the rice to reduce extra starchiness. In a large heavy pot, add rice, water, 1 tbsp vegetable oil and salt. Boil on high until most of the water evaporates. When the water just skims the top of the rice, reduce the heat to low and cover for about 15 minutes. Set aside and keep covered for an additional 5 minutes. Add the chopped cilantro, lime juice and remaining oil. Toss gently until completely mixed. Taste and adjust accordingly. Transfer to a large bowl and garnish with limes wedges ( optional).